Oluwo of Iwoland, His Imperial majesty, Oba AbdulRasheed Adewale Akanbi on Tuesday granted nod to the governoship aspirantion of one of his illustrious indigenes, Otunba Adebayo Waliyu Oladosu ROVET. 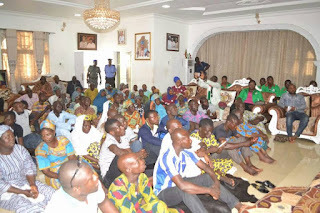 Party faithfuls in their hundreds had thronged the Oluwo Palace as the leading PDP governorship hopeful stormed the palace to seek the Royal blessing of his traditional ruler to succeed Governor Rauf Aregbesola in the September 22 governorship election. 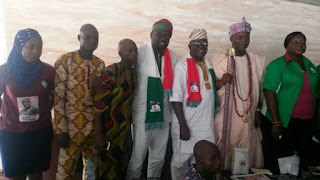 Otunba ROVET in his words, sought the support and prayer of the monarch and that of the entirety of Iwoland. He said he couldn't have gone ahead to publicly declare his intent to vie for governorship position without having the nod of his royal father and that of his home, Iwoland. 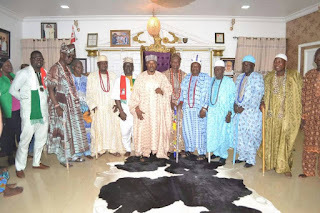 The first class monarch, Oba Adewale remarked and sent signals to the leadership of the PDP and other parties not to make the mistake of not fielding one of his subjects as their candidate. 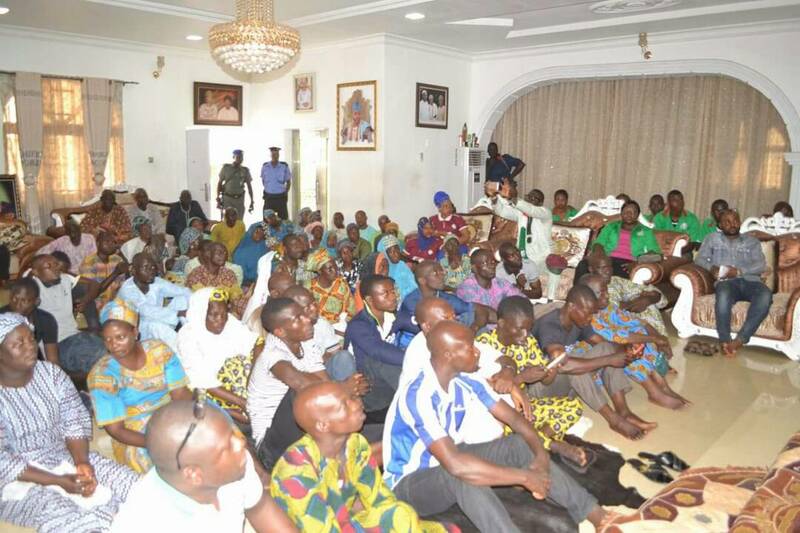 He stated that people of Iwoland, regardless of their party affiliation would vote only a party that give the ticket to Iwoland. 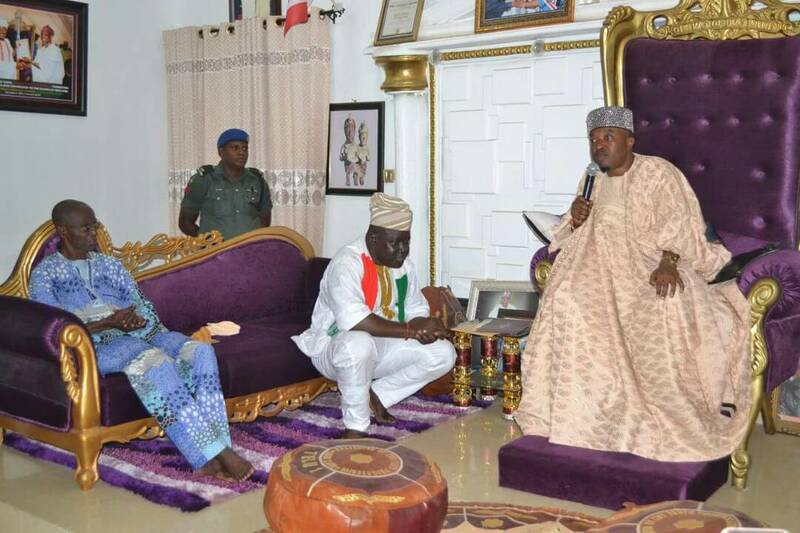 Oba Akanbi later threw his weight behind the aspiration of Otunba ROVET and offered prayers for him. In attendance were the monarchs of various towns that makes Iwoland.